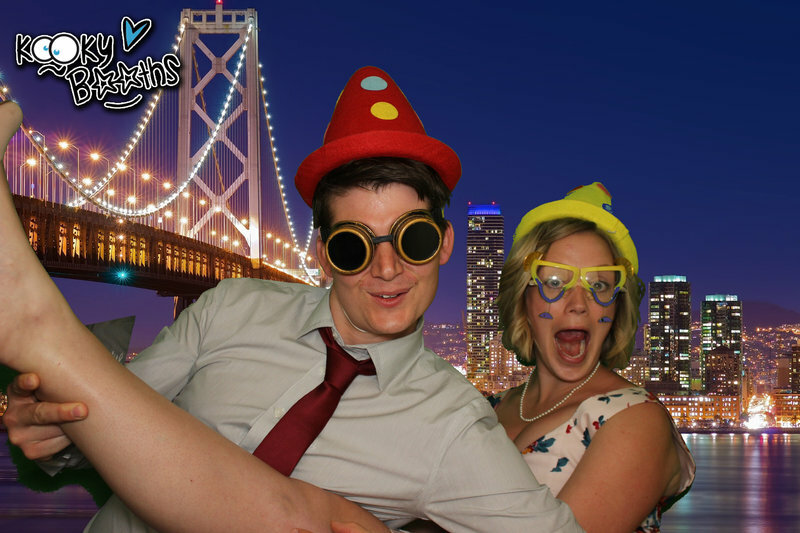 This sure was a fun wedding reception!! We went through various options, and finished with a “London Bus” image, a “Eiffel Tower”, a “vintage San Francisco” image and a “San Francisco” night time image. 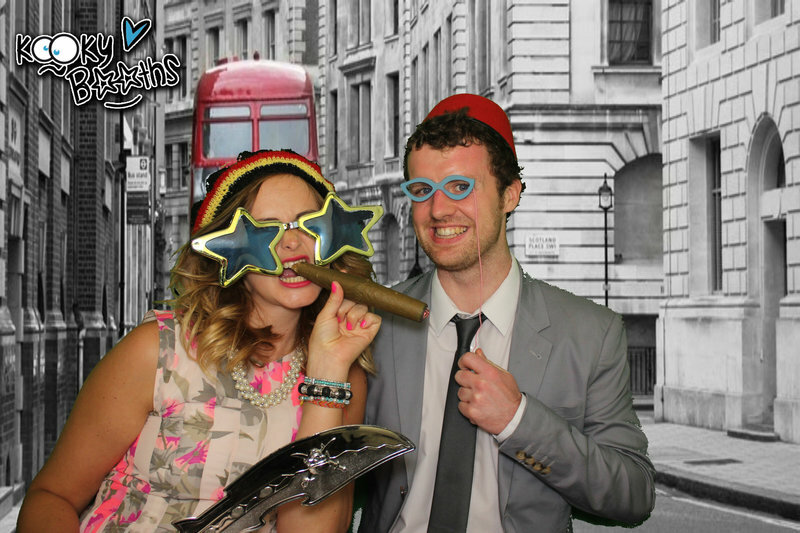 Of course, we took a long our “London Bus” booth and the Peri & Michael had chosen the “2 strip option” so that their guests could stick a copy in their guestbook and leave a message. Another gorgeous example of how we can customise the photos to a particular event / couple. Here’s the facebook review that Peri left for us! We’re super chuffed to get reviews like this! “Thank you so much for sharing the Dropbox file with us i have successfully received & downloaded all the images. It has been so much fun looking through all the pics from the Wedding night, definitely helping us fight off the post Wedding/Honeymoon blues! 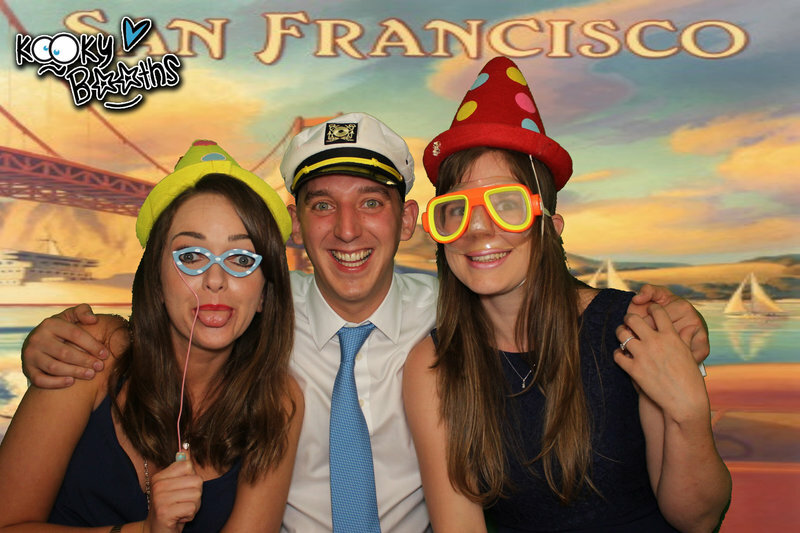 I wanted to thank all the Kooky Booth team that made our Wedding night super fun. The boys where fantastic at getting guests into the booth and embrace their most wackiest sides! I am so happy we chose to work with you and that we will have these photos as memories for years to come. I will absolutely be leaving a 10* review for you guys! 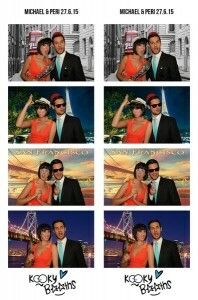 You did an awesome job and i think every wedding needs a KookyBooth! Congratulations Peri & Michael, it was fab to be involved in such a brilliant wedding reception!